Those of you who regularly follow Inside Careers may have seen our new Twitter page and mentions of ‘IP Careers’ on our website, emails and social media. We are very happy to announce that are launching a new website, www.ipcareers.co.uk this September, focusing entirely on careers within intellectual property. As you may already know, here at Inside Careers we have been providing online and printed services for graduates and students interested in the patent attorney profession for over 25 years. Our service is unique in that we partner with the Chartered Institute of Patent Attorneys (CIPA) to provide high quality careers advice as well as a range of patent attorney graduate jobs and work experience placements. Our patent attorney service has been so popular, and the demand from students and graduates so high, that our decision to launch IP Careers will allow us to continue to grow our services to suit your needs. As the name IP Careers suggest, our main change is expanding our service to cover all aspects of intellectual property, from patents to trade marks as well as copyright and design. IP Careers will continue to partner with CIPA, but will also partner with the Institute of Trade Mark Attorneys (ITMA) to bring you even more sector specific careers advice. The new site will host a wide range of IP graduate jobs, internships, placements and insights, all from the UK’s leading IP recruiters. Whether you’re from an engineering, science or IT background, IP Careers will have a role for you! Concerned about missing out on IP roles? Don’t worry – IP Careers can send you email updates with brand new roles as well as those that are closing. Soon our Twitter feed will also provide new and deadlining roles, so don’t forget to follow @IP_Careers which is now live. Our careers advice section will cover a range of topics suitable to all students and graduates, whatever stage of your career you may be at. In depth information about the profession, such as what is a patent attorney and the salary they earn, will allow you to decide if this is the industry for you. Articles focusing on application and CV advice will help you on your way to securing your dream role. As well as our professional careers advice, IP Careers will post regular industry specific news articles, blog posts and videos to help you keep up-to-date with the IP sector. Q&A sessions with IP employers will also be a useful source in helping you decide which firms to apply to. Our ever popular printed guide to Chartered Patent Attorneys will continue to be published under IP Careers. Keep an eye out for our 2016/17 guide available in career centres across the UK from September. 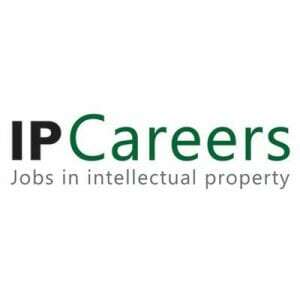 IP Careers will be the go-to-site for anyone interested in pursuing a career in intellectual property. Whether you’re already set on intellectual property as your chosen career and are looking for employment, or you’re a first year university student wanting to learn more about the industry, we will have you covered. Visit www.ipcareers.co.uk and sign up to be notified when IP Careers launches.